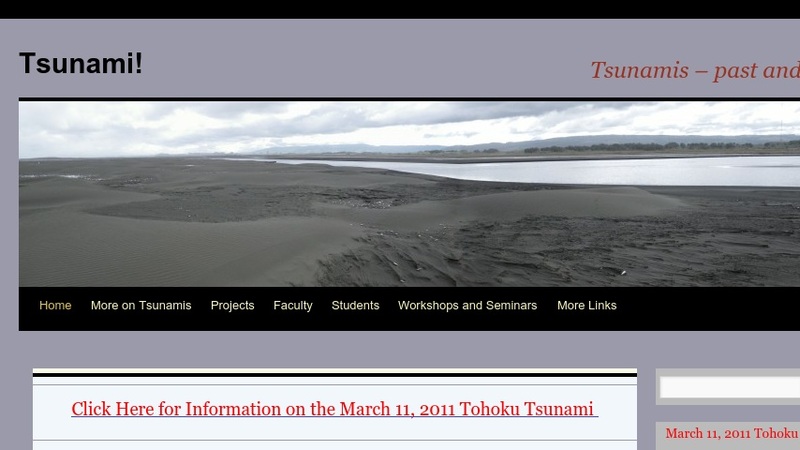 This site, hosted by the Department of Earth and Space Sciences at the University of Washington, provides general information about tsunamis, their causes and history, as well as what to do in case of a tsunami. Materials available at the site include a diagram illustrating the difference between tsunamis and wind-generated waves, links to monitoring and warning centers, and information on recent tsunamis, including the December 2004 and March 2005 Sumatra tsunamis. There are also links to information on how to survive a tsunami, technical sites on hazard mitigation, and visualizations of recent and historical tsunami episodes.